Your specifications or our custom design from 4140 steel and other special steels and alloys including 300 and 400 series stainless Monel, Inconel, Hastelloy and Duranickel. 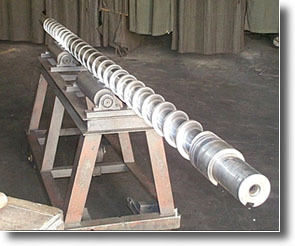 Our capacities range 1 to 24 inches in diameter and to 40 feet in length. We can handle the biggest of jobs!